This year’s World Primary Immunodeficiency Week (WPIW) was highly successful for IPOPI and the primary immunodeficiencies (PIDs) community with awareness raising and advocacy campaigns taking place in all world regions! 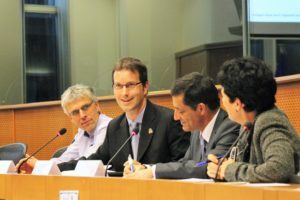 On April 26 IPOPI celebrated WPIW at the European Parliament in Brussels with a Policy Event supported by Members of the European Parliament (MEPs) José Inácio Faria, Carlos Zorrinho and Boleslaw Piecha. 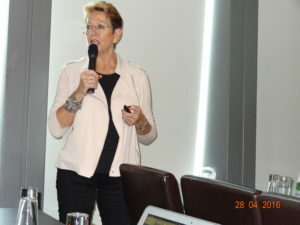 They joined patient representatives from 10 countries, doctors, stakeholders, industry representatives and IPOPI to commemorate the importance of raising awareness on PIDs around the world under the motto “Test.Diagnose.Treat”. The event featured two sessions. The first one focused on international developments in their different regions of the world and the second session looked into Europe and the policy initiatives that could support PID patients and healthcare specialists to provide patients the care they need. Participants at the meeting commemorated their participation by signing the 2016 Call for Action Improving access to care for patients with PIDs. 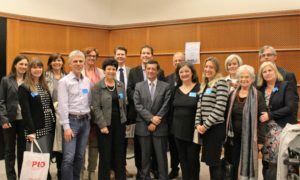 And to put a cherry on the cake the European Commission recently indicated that they will help disseminate the IPOPI PID principles of care to the Member States and representatives of the EU expert committee on rare diseases. 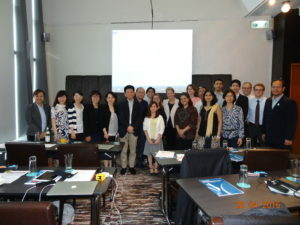 IPOPI also organised the first Asian Regional Patients Meeting in Hong Kong on April 27 and 28. The regional meeting was a great success with 32 attendees, representing patients, parents, NMO leaders, physicians and nurses from Malaysia, Singapore, Hong Kong, Laos, Indonesia, Vietnam, India, Japan, Thailand and the Philippine. The two-day event started off with medical lectures with background information and new developments on PIDs and two specially designed workshops followed. The first workshop looked at the region key successes and challenges and the second focused on the PID Principles of Care, inviting attendees to analyse their top national priorities to better tailor future actions. IPOPI has been working closely with its National Member Organisations (NMOs) from eleven countries to launch a new Primary Immunodeficiency Burden of Treatment study. United Kingdom, through PIDUK, was the first to launch the questionnaire on April 27 and four more countries have followed. This new project is being done in partnership with the University of Sheffield (UK) and a clinical research company, Parexel. The objective of the Study is to quantify and measure the impact of the different immunoglobulin treatments adults take to manage their PID. “We believe it is important to understand the impact that different immunoglobulin therapies represent in patients’ daily lives to better assess the quality of live these patients actually have. The study will also provide outlooks on how to further improve treatments and enable patient representatives to have quantitative data they can use in their advocacy and educational activities” said Johan Prévot, IPOPI’s Executive Director.